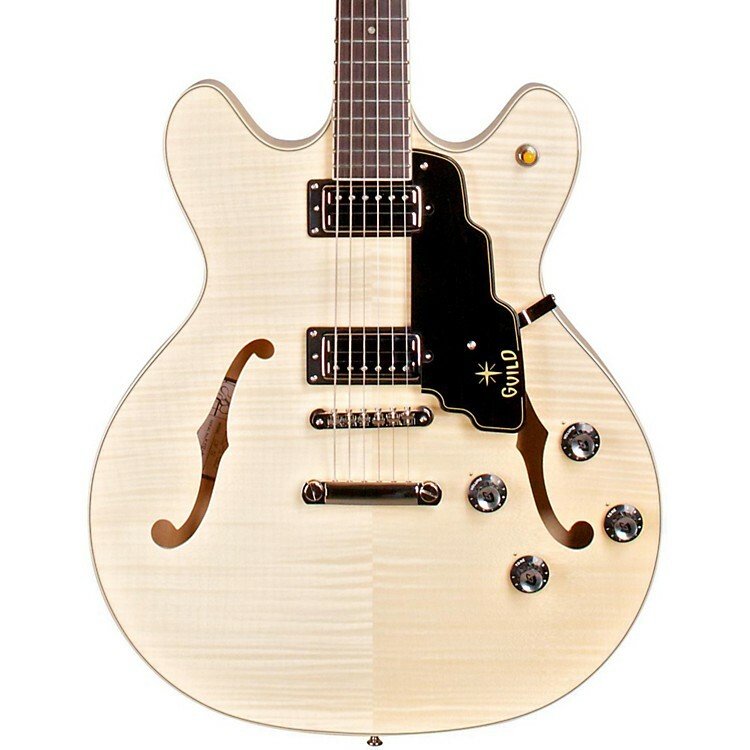 A modern twist and a sweet top on a highly popular semi-hollow Guild classic. Premium features include an all flamed maple body, a solid maple center block, rosewood fingerboard, and Guilds hallmark mahogany neck with maple center seam. This model features a tune-o-matic bridge, with a stopbar tailpiece for increased sustain and stability. The Starfire IV ST Flamed Maple includes dual LB-1 Little Bucker pickups, replicas of Guilds original smaller size humbucking pickups. Includes hardshell case. Pick up a guitar that'll add new sounds and style to your performance. Order today.